Many of us ladies start with discs our guy friends or husbands give us and they’re not always the best option. I want to share an article I wrote back in March 2011 on DiscGolfWomen.com that has been helpful information to other beginner women disc golfers. I’ve added a few updates to it here. There’s a very large selection of discs to choose from and for new players it can be overwhelming trying to find a disc that you will have success with. There’s really no such thing as a ‘beginners disc’ or a ‘womens disc’ however there are certain characteristics in golf discs to look for that will help your game. One common mistake women make when we first start playing is to choose a disc because we like the name or because it’s cool or pretty – Or throwing a disc our boyfriend or husband gave us out of their bag. Now that you’ve fallen in love with Disc Golf it’s time to get your own discs. So how do you choose the right discs? Ones that will work for you – not against you? Here are some tips to help you choose and an explanation of the various disc characteristics you’ll come across. Disc golf discs typically range from 130 grams to 175 grams, and sometimes up to 180g. Disc weights are usually written on the bottom of discs. Lighter discs will allow beginning women players to achieve more distance and better control. Look for 150 class weights and up to the low 160’s. Keep in mind though that not all discs are available in the lower weights. You might also find that you are more comfortable with a lighter weight driver but a bit heavier mid-range or putter. There are a wide variety of discs used in disc golf and they are generally divided into three categories: putters, all-purpose mid-range discs, and drivers. Drivers are usually recognized by their sharp bevelled edge and have most of their mass concentrated on the outer rim of the disc rather than distributed equally throughout. Drivers are often divided into different categories. For example, Innova discs divides their discs into Distance Drivers and Fairway Drivers, with a fairway driver being somewhere between a distance driver and a mid-range disc. Discraft divides their drivers into 3 categories: Long Drivers, Extra Long Drivers and Maximum Distance Drivers. Drivers are generally the most difficult to control, but also the longest flying. Fairway drivers have a lower speed and are easier to control. They are also an excellent first driver choice for beginners until your strength and disc control increases. The higher speed drivers have a wider rim so if you have smaller hands like I do it’s hard to get a good grip on them. If you’re fortunate enough to have a disc golf retailer near you, go in and touch and feel the plastic. Make sure the rim is not too wide. These discs are slower and more accurate than drivers- they tend to have a more stable and predictable flight path. Typically used for closer range shots to the basket when a driver is just too much and will help you park it under the basket vs. throwing past it. You’ll want to have a mid-range you are comfortable with because you will find yourself using it frequently during a round. Some players will even use their mid-range as a driver in certain situations such as for short drives where trees or other obstacles come into play. They are the slowest and shortest flying of the disc types. Used to hit the chains and put it in the basket. That cha-ching sound- it never gets old! Also used for making short controlled upshots. Don’t underestimate the importance of your putter. Ladies, sinking your putts can help give you an advantage over the guys. Sure, most guys will out drive you from the teepad, but putting is on a more level playing field. Putting is not about power- its all about confidence and accuracy. So find a putter you like- then buy several in the same model so you can practice. Different drivers will have a different level of speed- For example Innova offers drivers from a speed of 8-13 and fairway drivers in the 6-7 speed range. Discs advertised as having a high speed are usually made for advanced players with high power. As a beginner keep in mind that a higher speed disc will not necessarily help you throw farther. This is because you need to work on control and increasing your power first. Be patient- this comes in time. Like clubs in ball golf, the various types of disc golf discs are designed to travel on a specific flight paths. The disc’s flight characteristic is defined by the term stability. This is why some discs will go right and some will go left. Stability is a description of the disc’s flight path. Stable is a flight that doesn’t turn. My advice on stability for beginning women players? Since beginners tend to throw discs at lower speeds, choosing a disc that is stable to slightly understable is your best bet. In researching the best way to explain the various types of plastic that discs are made of I found the best explanation given by Blake Takkusen of DiscGolfReview.com. In his article he states, “a general rule is, the more expensive the plastic, the smoother it is. Smoother plastic has less air friction. What this translates into is that higher end plastics will make discs faster and less controllable. Faster discs require more power to throw them well, have less glide, fly more overstable, and do not fly as far. Also, smoother discs are more difficult to flatten from a hyzer, turn over, and more difficult to make fly straight. I tend to agree. Cost is another reason it’s best to avoid purchasing discs in premium plastics as a beginner. Instead, buy cheaper discs in basic plastics and play until you are comfortable with a certain disc model. Some vendors may even offer used discs. This way if you don’t like the disc, you can try a different one without having spent too much. New disc golf discs typically cost between $7 and $25 depending on the model of the disc and the disc plastic. Basic disc plastics like the Innova DX line are relatively inexpensive but wear quickly. Discs in premium disc plastics like the Discraft Elite Z line and Innova Star plastic usually cost at least $15 but these plastics are extremely durable and will resist damage when they hit trees and other obstructions.  Overall we recommend that women new to disc golf start with lighter weight discs in the ‘stable’ range that will fly straight and have good glide. Choosing too heavy a disc or more overstable discs will tend to be more difficult to control and can lead to frustration. A good starter set would consist of 3 discs- a driver, a mid-range and a putter. Start out with the basic , less expensive DX type plastic at first. It will help keep your investment low while you play with the different discs and discover the specific discs that are best for you. After you are comfortable with a certain disc, consider purchasing a premium type plastic of that same disc model that will not wear as quickly. I mention 2 of the most popular Disc Golf disc companies, Innova and Discraft primarily throughout this article. These are the discs that I started with years ago and are most widely known but there are many more companies that have come along since then … Latitude 64, Westside, Dynamic Discs, and Prodigy are just a few. Have you found a disc that you feel makes a good fit for beginning women players? Is Field Work Hurting Your Disc Golf Game?